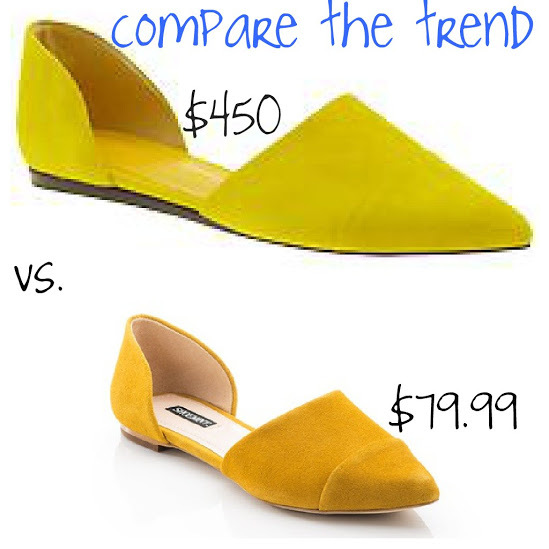 have you guys seen some of the amazingly bright shoe trends for spring '13? as you can see, the top pair retails for $450.00. but mine doesn't allow for throwing down that sort of cash on a trendy shoe. i am a die-hard shoemint member. so, my most recent purchase was a fraction of the price of the jenni kayne pair. keep your eyes open for more "compare the trend" posts as spring approaches.